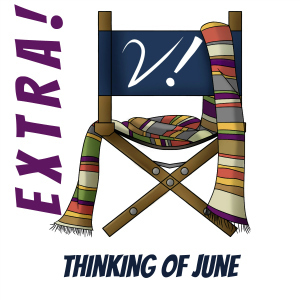 This week we bring you an extra-long Verity! Extra! At this year’s Gallifrey One convention, Deb interviewed the delightful June Hudson, costume designer for Doctor Who in the late 70s and early 80s. Listen as Deb, Erika, and Liz squee a bit about the experience, and then enjoy the interview itself. And by all means, check out June’s website to see some of her fantastic designs.